Shortly after losing the services of Calvin Pickard to the Vegas Golden Knights in the NHL Expansion Draft, Joe Sakic and the Colorado Avalanche were able to acquire the services of Jonathan Bernier. 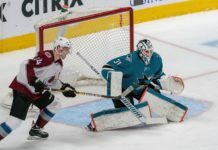 With the addition of Bernier, the Avalanche have a combination of experienced goalies that they have not had since their Central Division title in the 2013-14 regular season with the combination of Semyon Varlamov and Jean-Sebastien Giguere. Last season with the Anaheim Ducks, Bernier posted an impressive save percentage of .915, with a goals-against average of 2.50 per game. 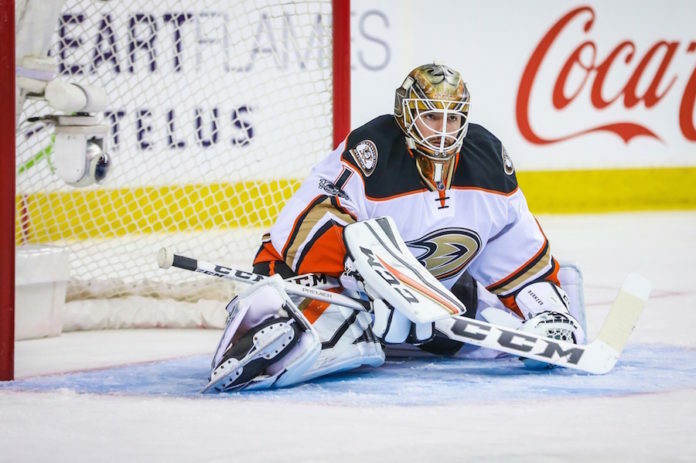 Playing as the Ducks’ backup goalie, Bernier accumulated an impressive record of 21-7-4, helping Anaheim make the playoffs for their fifth consecutive season, where they would advance all the way to the Western Conference Finals before being eliminated in six games by the Nashville Predators. The addition of Bernier will allow Avalanche head coach Jared Bednar to distribute time between his two goalies, with the hopes of taking some pressure off Semyon Varlamov. Varlamov had his season cut short last year due to a recurring groin injury, and decided to undergo surgery with the hopes to fix the injury that has been haunting him since his time with the Washington Capitals. After undergoing surgery, Varlamov is feeling motivated for the upcoming season and believes that he can bounce back after playing a career-record low 24 games this past season. 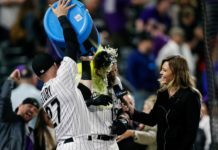 This hope is shared across the organization and the Avalanche fan base, as Varlamov is still believed to be a main component of the Avalanche making a return to the playoffs. When evaluating the Avalanche’s offseason moves, the addition of Bernier should be viewed as an improvement. At 29 years old, and coming in with plenty of NHL experience under his belt, he will provide a cushion for the Avalanche when Varlamov needs a break during the long NHL season. 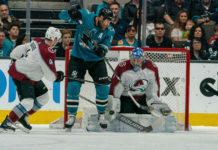 Bernier will be an important piece of the puzzle as the Avalanche try to make their return to the playoffs, after missing it for the past three seasons.